SunSense recently sent me three of their new reformulated products to try. 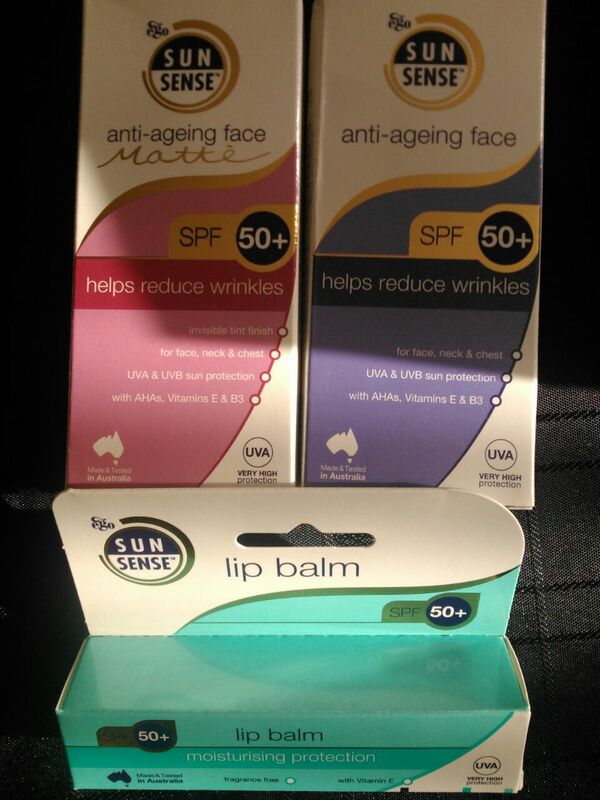 I received Anti-ageing face spf50, Anti-ageing face matte spf50 and lip balm spf50. SunSense is the UK’s number one prescribed sunscreen, as it has the highest sun protection factor, and protects against both UVA and UVB radiation. They are also the number one suncare formulated to Australian standards. What I liked about both the anti-ageing face and face matte, were as well as being light weight and spf50, they didn’t leave my skin oily or with a white sheen like a lot of high factor products have done! The matte version was my favourite as I love a complete shine free matte finish on my face. The lotions quickly absorbed into my skin leaving it soft and smooth, with no nasty smell due to them being fragrance free. Very simple to use too, simply shake well and apply a small amount over the face, neck and chest. As well as providing anti-ageing benefits and high protection, they also contain AHAs, vitamins E and B3, helping to fight signs of lines and wrinkles. The lip balm was a surprise, I thought it was going to leave my lips tacky and uncomfortable due to the high sun protection but I was wrong. The balm glided on nicely with the attached applicator and left my lips silky smooth thanks to the added vitamin E.
« We Are On Facebook and Instagram!